Remove unwanted facial hair quickly and easily. Use the narrow tip provided to glide over the sensitive areas. Buff gently afterwards in a circular motion. Remember to moisturize after all your no!no!® PRO treatments. Helping a partner achieve hair-free results* in awkward to reach areas couldn't be simpler! Simply glide over the back or neck, against the growth of the hair, for quick results. Don't forget to buff and moisturize after each treatment. Our Triple Guarantee Means No-Risk For You! Try no!no!® PRO Risk-Free For 30 Days! Easy to use and PAIN FREE! 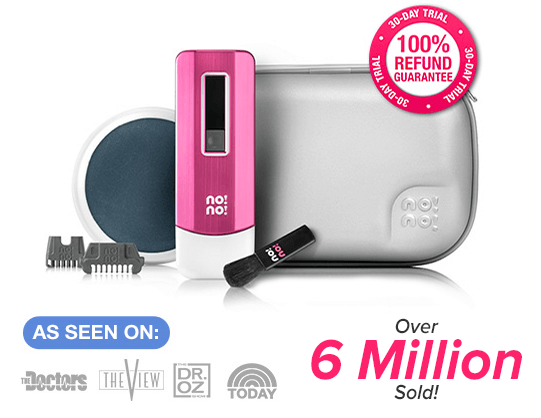 Remove hair easily with no!no!® PRO! Remove hair pain-free in the comfort of your own home! 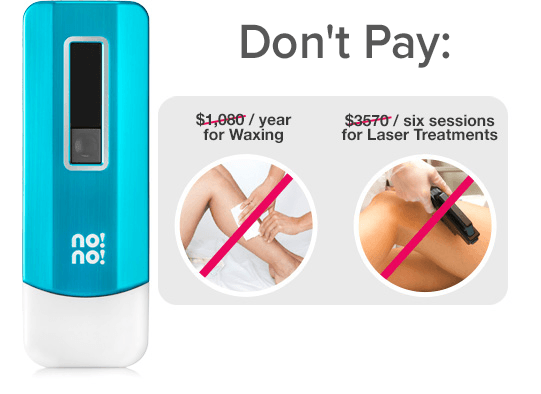 Estheticians love no!no!® PRO because it utilizes professional technology and really works with continued use - unlike other hair removal methods that are limited by skin color or that can damage the skin if used incorrectly. These beauty experts feel good knowing that all of their clients can use the device at home and get safe and consistent results. 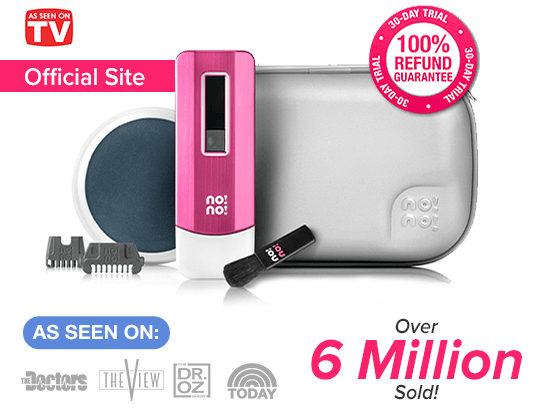 In fact, many estheticians have made the switch and now use no!no!® PRO as their personal choice for hair removal. "What impresses me about no!no!® is all the research and clinical studies that have been done to prove that it really does work." Get the hair removal system trusted by millions! Try no!no!® PRO Risk-Free Today! no!no!® PRO is a high-quality professional hair removal device that uses patented Pulsed Thermicon™ Technology to remove hair without pain. What's the Secret Behind no!no!® PRO? Don't fall for cheap imitations!